Housing un-affordability has become a cultural norm on this space rock we call Earth. What once began as an achievable Dream™ for the mass working class, has disfigured into a speculative tumor which threatens to keep the basic human need of shelter beyond the reach of billions. A recent study estimated that by 2025 over 1.6 billion people across 440 million households will lack access to secure, adequate, and affordable housing. With real wages stagnant and full-time work on the decline, globally we’re spending $650 billion more per year on housing than we can afford. In 2016, more than 75% of all housing markets were classified as “unaffordable” in Australia, Canada, China (Hong Kong), Ireland, Japan, New Zealand, Singapore, the United Kingdom and the United States. 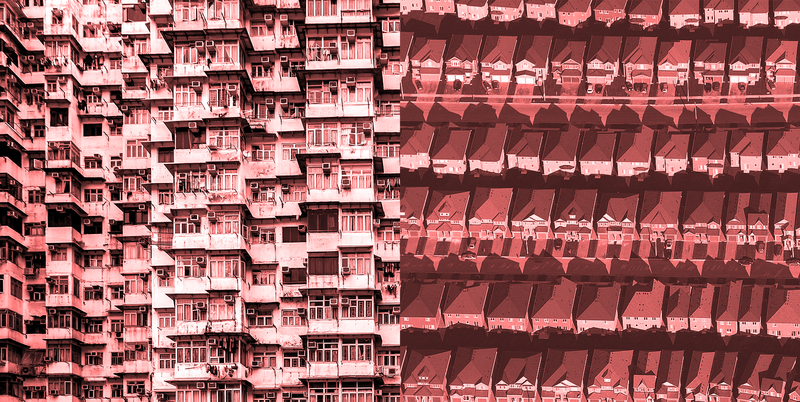 Hong Kong house prices are 18.1 times median household income, Sydney houses are 12.2 times, and Canadian houses are 11.8 times. A median multiple below 3 times household income is considered “affordable”. In Sydney the median house price topped out at AUD$1.18 million in 2017 to help balloon the Australian housing bubble to AUD$7.3 trillion; or more than four times the gross domestic product. Meanwhile the RBA has kept interest rates at a record low of 1.5%, presumably to prevent a catastrophic cascade of mortgage defaults from the $640 billion of interest-only loans outstanding. Rising house prices also bring rising rents. On average, Sydney households spend 29% of their income on rent in a nation where 31% of households are renting. And less than 1% of Australian rental properties are affordable for pensioners, welfare recipients or those earning the minimum wage. On the night of the 2016 Australian Census more than 1 million homes were empty (11.2% of all dwellings) while over 100,000 Australians were homeless. By analysing the water usage data, it’s estimated that 300,000 properties are left empty year-round due to speculation and liquidity motives. Let’s dive a little deeper into the political conflicts of interest and basic economics of housing. 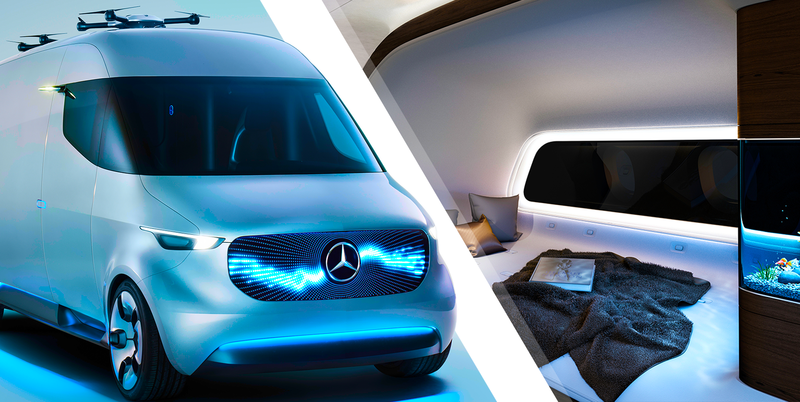 We’ll then explore how various exponential technologies are currently converging and could provide a peculiar, but beautifully elegant solution in driverless van homes. Real estate is a massive chunk of the global economy with property valued at a total of $217 trillion; almost 3 times the global GDP. At such a massive scale, even the most minute government and financial sector interventions in the market can result in profound macroeconomic consequences. The US subprime mortgage crisis was the perfect storm of deregulation, Wall Street greed and personal profiteering. The repeal of the Glass-Steagall Act in 1999 along with a chain of government and private sector decisions stretching back to the 1960s resulted in a US housing bubble that peaked in 2006. US banks sold risky interest-only mortgages to low income individuals, then bundled them into mortgage-backed securities which hedge funds then sold to investors with AAA “safe” ratings. The banks, pension funds and large corporations around the world poured in money to chases shareholder profits. When housing prices dropped and interest rates rose, homeowners could no longer afford their repayments and began defaulting. This triggered a cascade of events resulting in the 2008 global financial crisis, and the worst recession since the Great Depression. Total cost to the US economy: $22 trillion. To solve the current global housing crisis and permanently reduce prices to a level that is affordable to all people, let’s assess a few broad approaches. Governments are always keen to introduce political policies which grow their local economies, create new jobs and improve the lives of their citizens. The dreamy cult of home-ownership conveniently ticks all three boxes by providing a financial asset and psychological safety net, while ensuring citizens seek out high-paying and full-time jobs to repay their mortgages. The increasing investment demand also drives up property values and GDP. In Australia, tax incentives introduced decades ago are now contributing to a massive housing bubble, affordability crisis and wealth inequality. Negative gearing allows property investors who make an annual loss (60% do) to reduce the tax they pay on other income. And a capital gains tax discount allows half the profits from selling an investment property to go un-taxed. To change or remove these policies you would need to successfully lobby the 225 Australian federal politicians who collectively own 561 properties worth a total of $370–500 million; or somehow propel a minor political party into power without the votes of more than 2 million Australian landlords. At 28%, Australian millennials have the second lowest home ownership rate in the world due to the stupendously high house prices. Dozens of new “innovative” lending sharks have tasted the blood in the water and are now offering P2P lending, deposit pooling and other investment products. One such product touts itself as an easy and affordable solution to enter the property market by essentially crowdfunding the sale of individual bricks. These models are the antithesis of a housing affordability solution, and actually raise house prices by encouraging an influx of fee-bloated money. Amassing vast property portfolios has become such a bizarre game of Capitalism Plays Monopoly that various new policies are being floated and implemented. These include limiting the number of investment properties an individual can own, banning foreign home buyers, restricting home ownership to full-time locals, and applying a vacancy tax on homes left empty. These policies are just “patches” that attempt to quell the core individual incentives and motivations within the economic system of Capitalism. When an individual or organisation can privately own property or land or any asset, they legally retain the exclusive rights to exploit the asset for maximum personal profit gains. This is why millionaires are buying up trailer parks across the US, and jacking up the rents on people too poor to move. One radical, though functional model is to replace private ownership of property with commons ownership managed by a blockchain property DAO. In a simple supply and demand economics model: if there is more housing supply than housing demand, the invisible hand of the free market will decrease housing prices until they reach an equilibrium with demand. One would assume that high housing prices in Australia are being driven in some capacity by a housing supply shortage. In fact a recent university study discovered that inner-Sydney has the highest oversupply of housing, with a nationwide oversupply of 164,000 dwellings. If we increased housing supply at a rate faster than population growth, while constructing in the high-demand city locations, at the minimum comfortable floorplan size, maximum building height, maximum density, and ensured full occupancy; then of course increasing supply will reduce prices. Though building towering apartment complexes is a long and expensive endeavor, and developers are more interested in extracting maximum profits than building affordable housing. Almost 80% of all new apartment building constructions in the US during 2016 were categorized as luxury. I’ve previously explored ideas such as building hyperloop stations from the inner-city out to remote greenfield areas, and then 3D printing vast housing complexes. Other futurists are hoping VR, AR and autonomous vehicles will result in people living outside cities. Though ultimately fixed housing requires fixed land, and land is scarce anywhere people want to aggregate. The cheapest, most rapid and effective economic tool to reduce housing prices is to reduce demand for houses. If people stop buying or renting houses, then a massive oversupply will arise and prices will decrease to meet demand. But while shelter is a necessary human need, fixed housing is not.